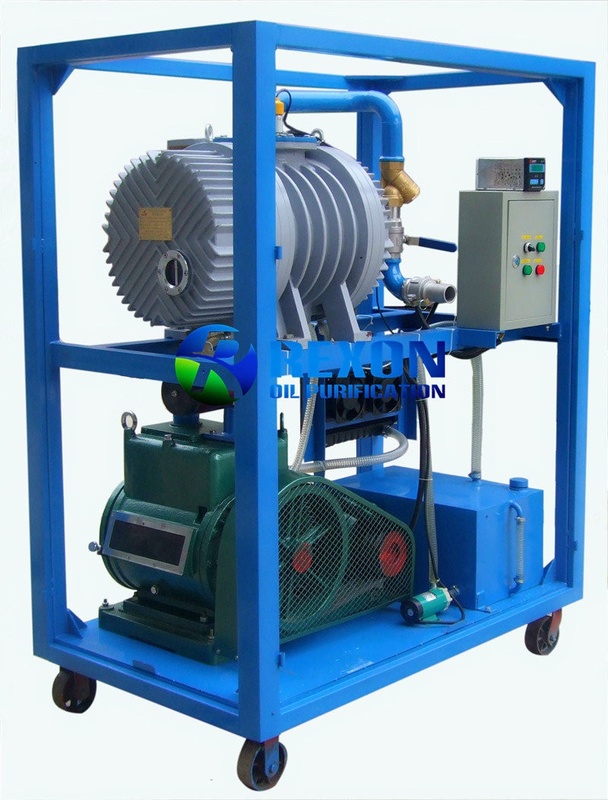 RNVS Vacuum Pumping Set is especially used for transformer vacuum evacuation, vacuuming transformer. 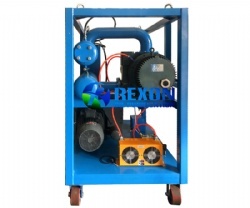 RNVS Vacuum Pumping Set is especially used for transformer vacuum evacuation, vacuuming transformer. And it is widely used in the vacuuming process in the production, installation and maintenance of many electric power equipment, like electric power transformer, capacitor etc., in transformer substation, administration of power supply, power generation plant, and transformer manufacturing, etc. And it’s also used in the technical process of industrial production, such as vacuum drying, vacuum distillation, vacuum wielding, vacuum coating etc. It is not suitable for the vacuum process for air and gases containing too much powder, water and oxygen as well as explosive, corrosive, poisonous and chemical substances. RNVS is unsuitable for pumping toxic gas, explosive gas, high-oxygen content gas, high-moisture content gas, and the gas which will be reaction to pump oil or cause erosive effect on ferrous metal. 1. The machine adopts special Roots pump and vacuum pump, so the vacuum pumping speed and pressure, are obviously better than any other devices. 2. Working vacuum range and maximum vacuum degree are superior to other products. 3. It’s equipped with a control panel for controlling the operation of pumps. 4. Consist of necessary high quality pipelines and valves to operate the system. 5. It is installed with special vacuum gauge for accurate indication. 6. It adopts automatic vacuum relay for automatic control. 7. Stable and reliable operation, low noise, and easy to move.